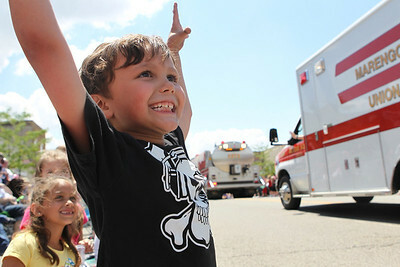 Mike Greene - mgreene@shawmedia.com Casen Patnaude, 5 of Poplar Grove, cheers for candy during the 71st Annual Milk Days Parade Saturday, June 2, 2012 in Harvard. 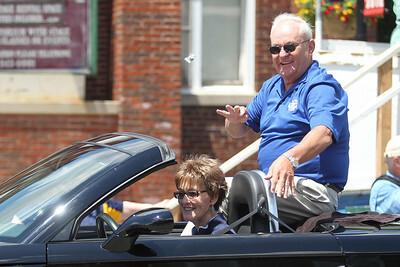 Mike Greene - mgreene@shawmedia.com Harvard Mayor Jay Nolan tosses out candy to the crowd during the 71st Annual Milk Days Parade Saturday, June 2, 2012 in Harvard. Mike Greene - mgreene@shawmedia.com The Harvard High School Hornets marching band performs during the 71st Annual Milk Days Parade Saturday, June 2, 2012 in Harvard. 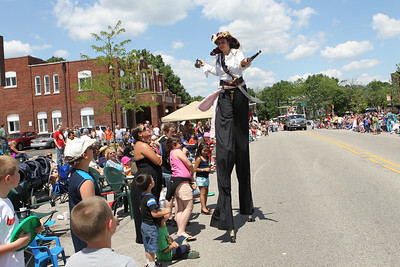 Mike Greene - mgreene@shawmedia.com An entertainer on stilts walks past the crowds during the 71st Annual Milk Days Parade Saturday, June 2, 2012 in Harvard. 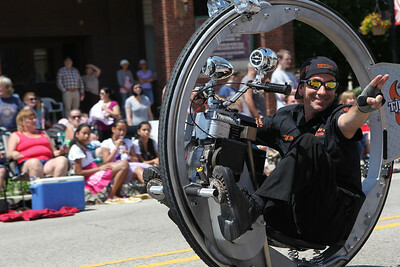 Mike Greene - mgreene@shawmedia.com A representative from TJ Howell rides a rocket cycle during the 71st Annual Milk Days Parade Saturday, June 2, 2012 in Harvard. 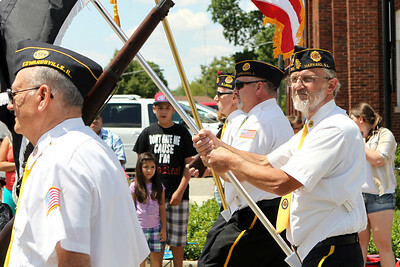 Mike Greene - mgreene@shawmedia.com Members of the American Veterans march carrying flags during the 71st Annual Milk Days Parade Saturday, June 2, 2012 in Harvard. 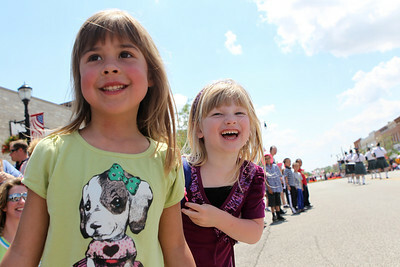 Mike Greene - mgreene@shawmedia.com Paige Johnson (left), 5 of Marengo, and Brooke Ameskamp, 5 of Marengo, laugh while watching the 71st Annual Milk Days Parade Saturday, June 2, 2012 in Harvard. 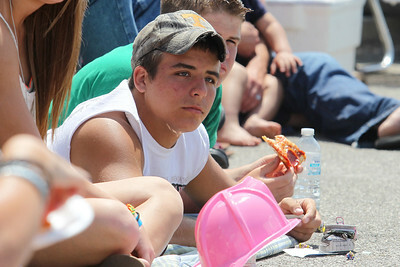 Mike Greene - mgreene@shawmedia.com Travis Heck, 17 of Harvard, lays down while watching the 71st Annual Milk Days Parade Saturday, June 2, 2012 in Harvard. 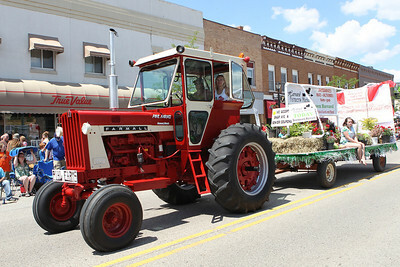 Mike Greene - mgreene@shawmedia.com Pihl Farms of Harvard tows a float with a tractor through downtown during the 71st Annual Milk Days Parade Saturday, June 2, 2012 in Harvard. 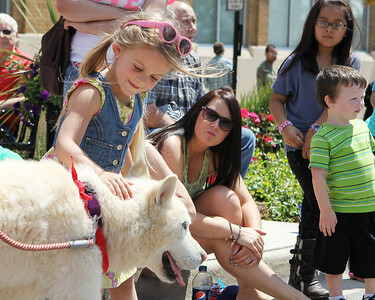 Mike Greene - mgreene@shawmedia.com Raela Greene, 4 of Wonder Lake, pets a husky from Free Spirit Siberian Rescue of Harvard during the 71st Annual Milk Days Parade Saturday, June 2, 2012 in Harvard. 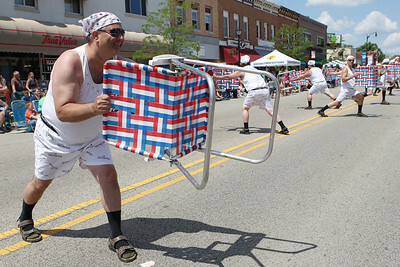 Mike Greene - mgreene@shawmedia.com Members of the Lawn Chair Dads perform during the 71st Annual Milk Days Parade Saturday, June 2, 2012 in Harvard. 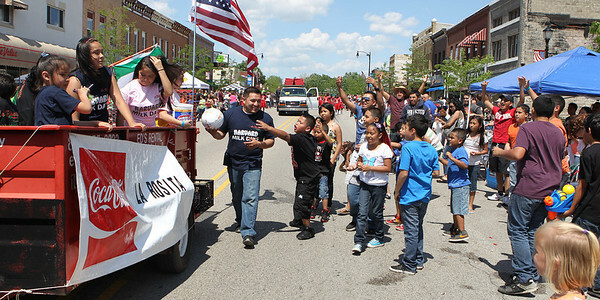 Mike Greene - mgreene@shawmedia.com Representatives from La Rosita of Harvard interact with the crowd during the 71st Annual Milk Days Parade Saturday, June 2, 2012 in Harvard. 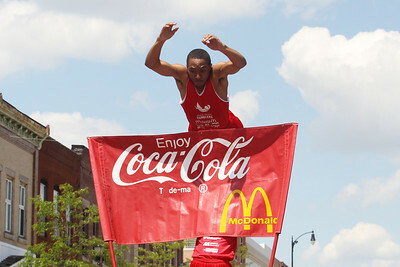 Mike Greene - mgreene@shawmedia.com A member of the Jesse White Tumblers flies through the air during the 71st Annual Milk Days Parade Saturday, June 2, 2012 in Harvard. 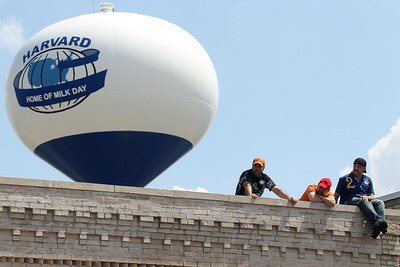 Mike Greene - mgreene@shawmedia.com A group of men watch from a rooftop during the 71st Annual Milk Days Parade Saturday, June 2, 2012 in Harvard. 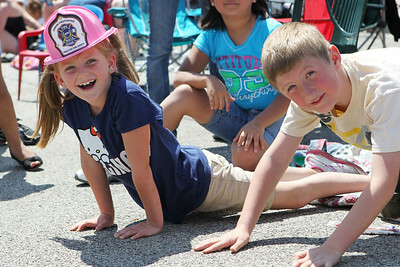 Mike Greene - mgreene@shawmedia.com Kendall Gallaugher and her brother Eli peer around other spectators to get a look at what was coming up during the 71st Annual Milk Days Parade Saturday, June 2, 2012 in Harvard. 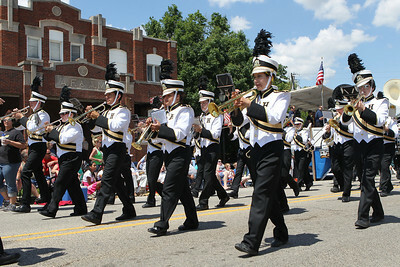 The Harvard High School Hornets marching band performs during the 71st Annual Milk Days Parade Saturday, June 2, 2012 in Harvard.